Solar Projects Archives - Page 4 of 34 - Solar Love! Argentina’s first renewable energy tender under the new RenovAr program has attracted more than 2,834 megawatts (MW) worth of solar energy project capacity bids, according to a recent public announcement from the country’s Ministry of Energy. The 58 solar photovoltaic (PV) project bids in question relate to locations spread throughout 12 Argentinian provinces — Buenos Aires, Salta, Mendoza, San Juan, San Luis, Jujuy, Catamarca, Chaco, Neuquén, La Pampa, and Córdoba. 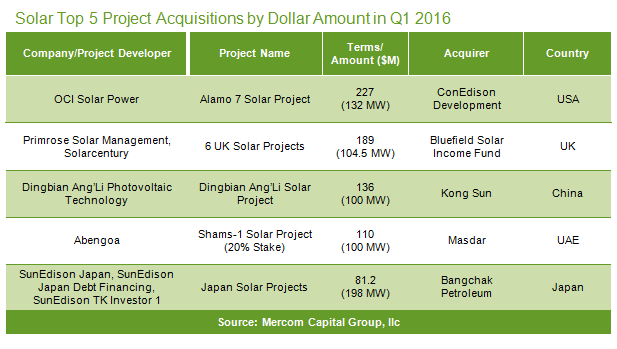 In addition to solar energy projects, the tender included bids for wind energy projects, small hydroelectric projects, biomass projects, and biogas projects. A grand total of 1,000 MW of new renewable energy capacity is expected to be developed as a result of the tender — with around $1.5 billion to $2 billion being the expected figure as far as total direct investment goes. Project bids competing for this 1,000 MW of tender capacity totaled 6,366 MW — quite a lot of interest, in other words. 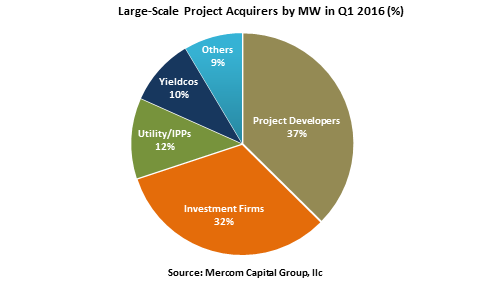 Of this 6,366 MW of bid capacity, 3,468 MW relates to wind energy projects (49 project bids), a bit more than the still impressive 2,834 MW solar bids. The tender allocation for wind energy, though, is twice as large, with 600 MW being the allocation figure. The allocation figures for the other generation modalities are: 65 MW for biomass, 20 MW for small-scale hydroelectric, and 15 MW for biogas. As a reminder, the Argentinian government is currently aiming for renewable energy generation to compose roughly 8% of the country’s total energy mix by 2017. The largest solar installation in New Mexico was dedicated last week. It is a joint venture between NextEra Energy Resources and Xcel Energy. The 600,000 solar panel facility is so large that it covers parts of Roswell and Chaves counties. In fact, it is known as the Roswell and Chaves County Solar Energy Centers. The solar panels are mounted to tracking devices that follow the sun during the day to maximize the amount of solar energy created. Tracking equipment increases power production by about 10% over traditional fixed panels. Not every solar energy installation goes on top of a roof. 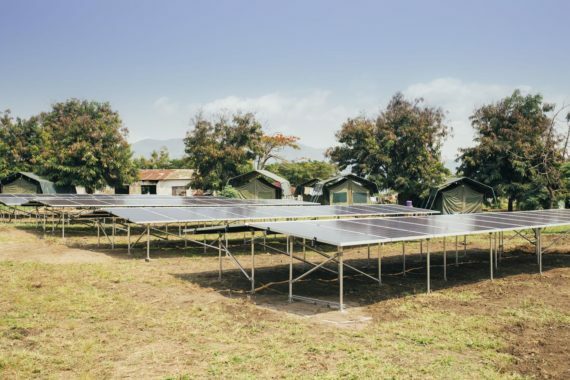 Utility scale systems, community solar, and some residential systems often are mounted on the ground rather than up in the air. What many of the owners of such systems tend to forget is that steps need to be taken to control the vegetation that will inevitably start to grow up underneath and around the panels as soon as the project is completed. Four elementary schools serving low-income communities in northern Nevada will blossom with greener classrooms. Classrooms with purer air and more direct exposure to solar panels and solar careers in the 21st-century studies. A recent press release shares that Nevada-based Black Rock Solar, a non-profit organization, is working with Open Energy, a commercial solar debt finance provider, for solar projects on this four elementary schools. 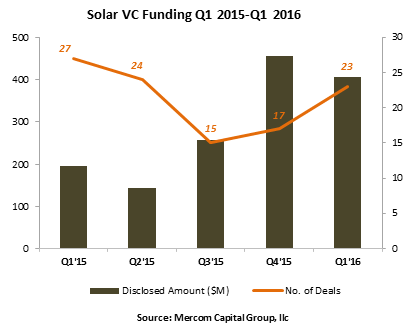 The fresh approach of Open Energy cuts the time needed to finance commercial solar. Open Energy’s work involves an online marketplace lending model. Schools — as the primary foundation for caring about the present and future of children, community, and ecological wellness — should always be at the forefront of progressive solutions, as in this case.